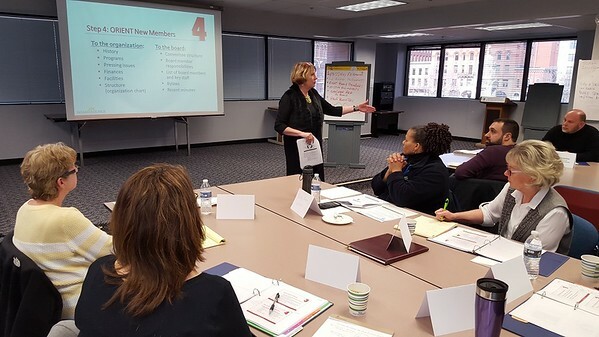 NEW BRITAIN - The Community Foundation of Greater New Britain and the American Savings Foundation are working together to offer a series of in-depth capacity-building workshops this year for local nonprofit organizations. The workshops, supported by $30,000 in funding from the CFGNB and a $21,150 grant from the ASF, are designed to help organizations address the increasingly difficult challenge of sustaining programs and services during lean fiscal times. The workshop series will run from March through October. The series will consist of six workshops on topics including building a strong team, fundraising in good times and bad, and public relations and the use of new media. The workshops will be free of charge to non-profit executive directors, who may be accompanied by members of their board as well as senior staff such as finance directors and development officers. The workshop series is based on an earlier, successful series held in 2016 by the CFGNB, funded through a grant from the Catalyst Fund. Joeline Wruck, the CFGNB’s director of community initiatives and program services, said 10 organizations participated in the workshops in 2016. Workshops that year focused on planning, organizational efficiency, fundraising and marketing. Each workshop this year will be led by Danosky & Associates of New Milford and will have space for up to 15 participating agencies. Nonprofit organizations based in Berlin, New Britain, Plainville or Southington are invited to apply to attend. At the end of the series, organizations that attended at least four of the workshops will be eligible to apply for up to $2,000 toward implementation of a strategy learned during the series. The application and complete details are available at www.cfgnb.org/requests-for-proposals/ . Completed applications are due by Feb. 16. If space allows, additional applications may be accepted during the year. Space is limited and organizations will be selected by the Community Foundation and American Savings Foundation. For more information on the workshops, phone Joeline Wruck at 860-229-6018, ext. 307, or email jwruck@cfgnb.org. Posted in New Britain Herald, New Britain on Tuesday, 16 January 2018 22:50. Updated: Tuesday, 16 January 2018 22:53.